When people are discussing things that went wrong in their past relationships, physical cheating is often viewed as the biggest form of betrayal. 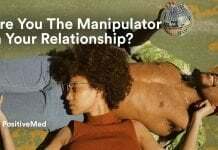 Since a relationship is often defined as an agreement to only be intimate with your partner, it makes sense that cheating is the action that is most likely to harm a relationship. It is often seen as rejecting your partner for another person. However, cheating is not the only way that your relationship may end. There are six other forms of falseness within a relationship that may result in distrust and discord between partners. Trying to alter your partner and make them into a new person is almost as bad as cheating on them with a new person. 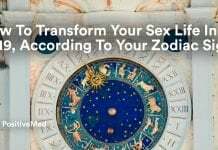 No one appreciates constantly being told to change their appearance and personality, and it is particularly insulting when it comes from a partner. People feel betrayed when someone was willing to enter a relationship with them and then they are suddenly faced with many conditions for remaining in the relationship. Though a relationship may continue to stumble along after one partner starts trying to change the other, this typically breeds resentment that ultimately results in the relationship falling apart. A relationship is not a competition, and always trying to be better than your partner is a way of harming their trust in you. No one wants to be in a relationship with a person that is regularly trying to one-up them and make them look wrong. Psychologists believe that arguing does not actually convince people of anything. Even if you are actually right, your partner is not going to agree with you when they are trying to defend themselves during an argument. Instead of focusing on being right, try to focus on communicating with your partner calmly. One of the most toxic ideas in a relationship is that you can only have one soulmate. 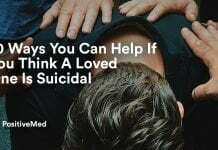 If you refer to a past partner who left your life due to tragedy as a soulmate, you leave your current partner feeling like they are not as important to you. Even if you think your current partner is your soulmate, you can face problems in your relationship. A 2014 study by the University of Toronto found that people are unhappy with their relationship if they have conflicts yet still consider each other to be their soulmates. This happens because people become very hurt when they think they cannot even have a harmonious relationship with their partner. Instead of putting a lot of pressure on your partner to be your soulmate, you should focus on growing and working together.